Murr Isaacs, age 73, of Hot Springs, SD formerly of Broadus. On Sunday, March 24, 2019, Murr Stuart Isaacs passed away at the age of 73 in Gillette, WY, where he was lovingly surrounded by his family. Murr was born on January 23, 1946 at Miles City, MT. At age 19, he enlisted in the U.S. Army and served in the Vietnam War from 1966 to 1968. In 1969 he married Mary Lolley and had two sons: Bill and Charlie. He later married Diana Mikkelson in 1979 and had a daughter, Jennifer. Murr lived most of his adult life in Broadus, MT, where he enjoyed raising his children, hunting, and trapping. Murr was preceded in death by his parents, James and Irene; sister Patricia McConkey; and his son Charlie Isaacs. He is survived by his sisters: Clara McNamee, Bonnie (Curt) Bradley, Sharan (Don) Clark, JoLynn Isaacs, and Kaye (Bill) Duncan; numerous nieces and nephews; his son Bill (Tonya) Isaacs and their children: Dani (Brian) Miller, Dillon DeMott, Raven DeMott, Emma Isaacs, Tyler DeMott, and Erika DeMott, as well as great-grandchild Braylee Miller; and his daughter Jennifer (Gregory) Stafford and their children: Anthony Stafford and Lilianna Stafford. 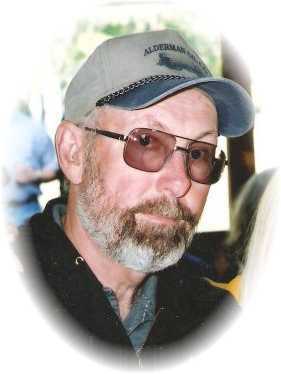 Funeral service will be held on Friday, March 29, 2019 at 11:00 a.m. at the Powder River Congregational Church of Christ in Broadus, MT. Interment will follow in the Valley View Cemetery in Broadus. Condolences may be sent to the family by visiting: www.stevensonandsons.com. Bill and family, I am so sorry for your loss! Prayers for peace and good thoughts sent your way. Sending our sincere symphony to all of the Isaacs family.